Found at my work in a 50lb bale of mesh from India, black with round body very small about the size of my pinky nail. Two dark brown dots on its back one in front of the other. My first thought was femaile black widow. Help! 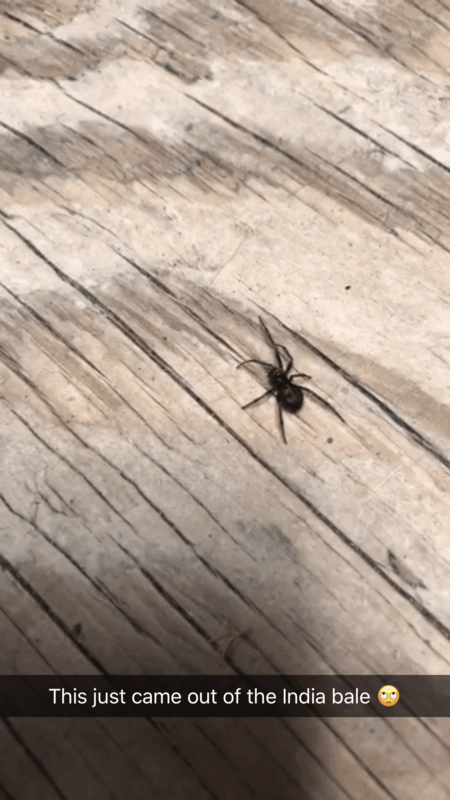 Hi, it is possibly Steatoda bipunctata.